The P226 is the pistol that set the standard by which all other combat handguns are measured. 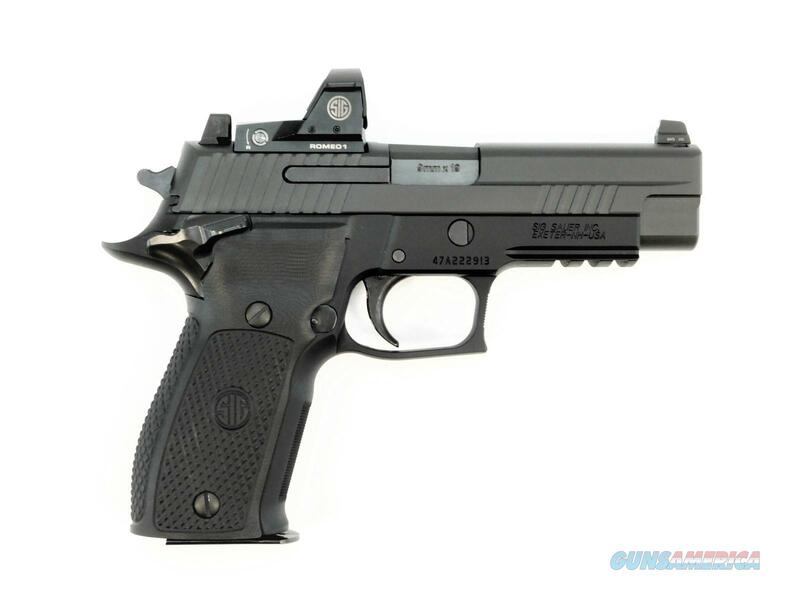 Designed as SIG's entrant in the military trials to replace the 1911, today the P226 is in use by the U.S. Navy SEALs, Federal agents, and numerous law enforcement agencies including the Texas Rangers, Ohio State Highway Patrol and the Michigan State Police to name a few. The slide-mounted reflex optic, the ROMEO1, ensures faster sight acquisition on target and the exceptional ergonomics and balance make this full-size pistol easy to handle.